At RestorationMaster, we provide comprehensive fire damage restoration services to property owners in Lakewood, OH. 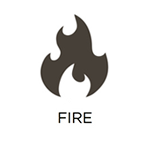 Through these services, we address the disastrous effects of fire and lingering smoke and soot, as well as the damaging effects of the water used to put it out. We offer 24-hour emergency response capabilities to address these situations swiftly and will work hard to restore your building and its contents as efficiently and effectively as possible. In Lakewood, OH, there are a number of events that can lead to water damage. Among them include burst pipes, leaks, overflows, and sewage backups. At RestorationMaster, we address all of these scenarios and more through our water damage restoration services. We use professional-grade water extraction and drying equipment to remove excess water and moisture from your property, and then work to clean and restore your building and its contents. 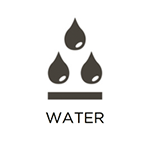 You can reach us for emergency water damage restoration services 24 hours a day. 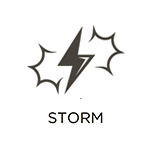 The importance of securing your property following a storm cannot be understated. This is because of the extensive secondary damage that can occur when your building is left exposed to outside elements. At RestorationMaster, we offer storm damage restoration services to stabilize at-risk structural elements of your building and cover any openings. These short-term fixes ensure greater levels of safety for your building and belongings, as well as anybody in the building, until long-term restoration solutions can begin. We offer these services to property owners in Lakewood, OH. 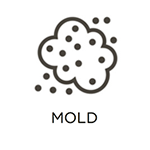 Mold is extremely problematic because of the ease with which it can grow and spread. When it does, it can cause significant damage. It can literally eat away at structural elements of your building, permanently damage furnishings and belongings, and trigger negative health effects in exposed individuals. At RestorationMaster, we offer mold remediation services to property owners in Lakewood, OH, to address these situations. Through these services, we will locate all of the mold on your property, remove it, and restore affected surfaces. It can be extremely troubling when violent crimes or traumatic events take place on your property. 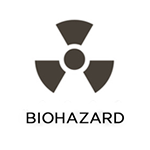 Not only do they breach a pre-conceived level of security, but they can expose you to dangerous biohazard materials, as well. At RestorationMaster, we provide trauma and crime scene cleaning services to address these dangerous situations. We utilize the equipment and procedures necessary to safely remove these materials, and then sanitize and restore your property to return it to normal. We offer these services to property owners in Lakewood, OH. Common biohazard materials that affect property owners in Lakewood, OH, include chemicals, bodily fluids, sewage, and similar elements. These materials can all lead to the spread of diseases, viruses, and infections if they are not handled properly. At RestorationMaster, we abide by state health and OSHA regulations to safely remove these materials from your property. Once they have been effectively removed, we will completely sanitize and restore your building, as well as any affected belongings. At RestorationMaster, we understand the unique challenges that commercial property owners face when they are forced to shut down or limit their operations. These challenges are particularly difficult when long-term restoration efforts are required. This is why we provide efficient and effective commercial restoration services to property owners in Lakewood, OH. Through these services, we will restore your building and belongings following a fire, flood, or similarly damaging event. We possess the capability to address these situations on any scale.